Patents are property rights granted for inventions to inventors and issued by the United States Patent and Trademark Office (USPTO). Rights granted under patent prevent others from making, using or selling the patented invention. Patents are generally good for 20 years from the date of filing. The USPTO does not enforce patents. That responsibility belongs to the patent owner once a patent has been issued. Individuals can file applications for patents. There are three types of patents. Utility patents are conferred for the discovery and invention of new and useful processes, machines, manufactured items and for new and useful improvements to those that already exist. Design patents are issued for new, original, ornamental designs for manufactured items. Plant patents are available for those who invent and asexually reproduce a new and distinct variety of plant. Patents can not be obtained for mere ideas but only for something that can actually be produced. Patent applications must include a complete description of the item for which a patent is sought and generally must include drawings when such are required to aid in understanding the new item or process. Due to the complexity of patent law, many inventors utilize the services of a patent attorney to assist with filing a patent application. However, for those willing to undertake the research and to learn how to do it, anyone can file a patent application without retaining the services of a patent attorney. There is a requirement by law, however, that only the inventor or inventors may file a patent application. On receipt, patent applications filed and deemed complete are assigned to one of the USPTO technology centers. Applications undergo rigorous examination by the assigned examiner to make certain the applications comply with all legal requirements, and then a search is made of all U.S. patents and available foreign patent literature to ensure the item or process is indeed new and useful and has not been previously patented. A favorable review results in the issuance of a patent. According to the USPTO, on average about two out of every three applications for patents are approved. The patent application packet is submitted to the Director of the United States Patent and Trademark Office, P.O. Box 1450, Alexandria, VA 22313-1450. The packet must contain an application transmittal form, fee transmittal form, application data sheet, written specifications of the item for which the patent is being sought, drawings if needed to aid the understanding of the specifications and a printed oath or declaration. The packet should be arranged in the order of documents listed. In the specification section, the applicant describes in detail the claims or claims made with regard to the item or process for which a patent is being applied for. The specifications section must include the title of the invention, cross reference to related applications (if applicable), federally sponsored research/development statement (if applicable), reference to any sequence listing, table or computer program listing appendix submitted on a CD, explanation of the background of the invention, a brief summary of the invention, brief description of any drawings included, detailed description of the invention, a claim or claims and an abstract of disclosure. Clarity and completeness in this section is of critical importance as the protections provided by patent are based on the claim or claims provided in the specification section. The declaration section requires the applicant to sign under oath to indicate that to the best of his knowledge, he (or they in the case of joint inventors) is the first to have discovered or invented the item or process for which a patent is sought and to attest to various other statements required to comply with applicable law and USPTO rules. All required forms can be found at Uspto.gov (see Resources). The patent application transmittal form (PTO/SB/05) provides a good checklist of all the documents needed to properly complete the application packet. Patent applications submitted in document form must be prepared in the style required by the USPTO. All documents must be legibly printed in English only, on paper that is either 21 cm by 29.7 cm (Size A4) or 8 1/2 by 11 inches. Only one side of each sheet can be used. The documents must be formatted with top and bottom margins of at least 3/4 inch, a left margin of at least 1 inch and a right margin of at least 3/4 inch. Line spacing must be either 1-1/2 or double-spaced. Pages must be numbered consecutively starting with page one with the numbers centered either at the top or bottom of the page. Arial, Times Roman or Courier type font faces (font size 12) are preferred. All required fees must be submitted for the packet to be considered complete. The USPTO's current fee schedule can be accessed at Uspto.gov (see Resources). 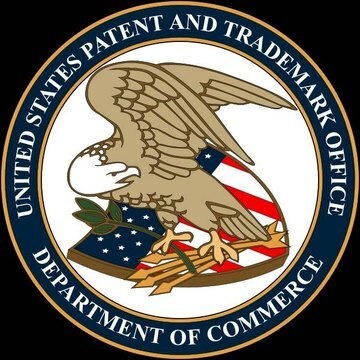 Instead of the traditional document-based patent application process, inventors can now utilize the USPTO EFS web-based alternative, which allows anyone with a computer and Internet access to file patent applications and documents online. No special software or document preparation tools are needed. The web-based system of special screens and prompts allows the user to submit patent application documents in PDF format directly to the USPTO within minutes. The user chooses the tools and processes for document creation and then is allowed to convert them to standard PDF format for submission to the USPTO's secure servers. Full technical support is available from the Patent Electronic Business Center (EBC) at 866-217-9197 (Business Hours: 6 a.m. to 12 Midnight EST, Monday -- Friday). A tutorial for the web-based system is available at Uspto.gov (see Resources). Based in Arlington, Texas, Larry Darter has been writing articles on a broad range of topics including building and construction, outdoor recreation and personal finance since 2009. His articles have appeared on Suite101 and Associated Content. In addition, Darter writes content regularly on assignment for private clients. He holds a Bachelor of Science in accounting from the University of Central Oklahoma. Darter, Larry. "Do-It-Yourself Patent Filing." , https://legalbeagle.com/5408362-doityourself-patent-filing.html. Accessed 19 April 2019.